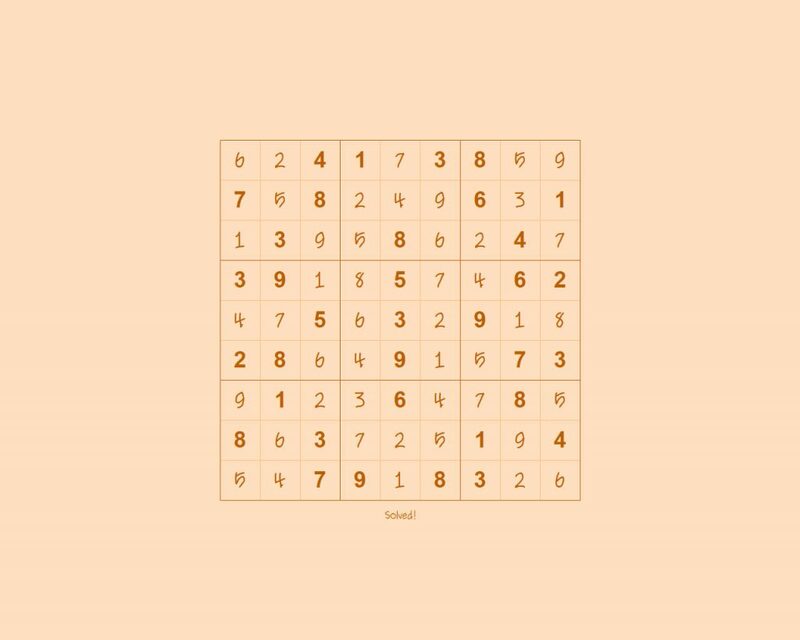 The object is to get one, and only one, of each digit in each row, column, and 3-by-3 block. Get a blank cell. If the blank cell is nil, exit. Add 1 to a number. If the number is greater than 9, exit. If the number is not valid in the blank, repeat. Put the number into the blank. Solve the puzzle. If the sudoku puzzle is solved, break. Technically speaking, it’s a “recursive backtracking” routine. It tries a number in a blank cell, then calls itself to try another number in another blank cell. If everything works out, we’re done. If we get stuck, it works backward, erasing the mistakes and trying again with a different starting number. It’s fun to watch; you just draw the puzzle on the screen right before each recursive call. // return, if success, yay! Conclusion? Plain English is easier to learn, easier to remember, easier to think about, easier to type, easier to read. And reasonably compact (more compact in some cases, like the one above). Your work is godsend! I lack the words to describe my excitement about it. Hallelujah! In addition to your proving that natural languages are often more concise, I think it’s worth noting that the arguments in favor of conciseness invariably are proxy arguments in defense of faster coding, but natural language for a variety of reasons gets written way faster than typical programming languages no matter where one falls on the continuum of programming ability. Opponents lose this debate with a double whammy. Thank you for your contributions, wishing you the best. Thank you, Christopher, for the kind words and encouragement. Greatly appreciated.